From historical sites to miles of beaches, there’s no shortage of ways to have fun, and newcomers can expect to enjoy a vacation that’s stuffed with all manner of coastal activities. So if you’ve never been to the Crystal Coast before, or if you want to make sure your vacation exceeds all expectations, what should you do? Start with ensuring these “Top 10 Things to Do” are on your travel itinerary, and get ready for an incredible coastal vacation that you won’t soon forget. One of the most enticing aspects of the Crystal Coast is that it comprises of a network of desolate barrier islands as well as dozens of local ferry services, waterfront tour companies, and water taxis, which means that it’s easy for visitors to climb aboard and start exploring. With plenty of hidden-gem island destinations to choose from, including the Cape Lookout National Seashore and the Shackleford Banks, the Rachel Carson Coastal Estuarine Reserve, Sugarloaf Island, and Hammocks Beach State Park, mariners and everyday tour-goers will be a quick 10-40 minute boat ride away from some of the North Carolina coastline’s most stunning beaches. Best of all, with ample seasonal runs and low ticket prices, vacationers can dedicate a day or two to discover different islands, and get a full perspective of the unique and wonderfully natural local seascape. Visitors can also take a ferry to Portsmouth Island or Cape Lookout and drive a 4x4 vehicle along the shore for a true adventure. There’s a reason why a number of famed fishing tournaments, like the Big Rock Blue Marlin tournament, land on the Crystal Coast. The fishing in this coastal region is nothing short of exceptional, and can cater to a wide variety of fishermen thanks to a landscape that includes inland marshes, saltwater sounds, and miles of open ocean waters. Book an inshore charter fishing trip to explore the sounds and creeks where tasty catches hide, or plan an offshore charter to target the massive tuna, dolphin, and sailfish that rule the Gulf Stream. 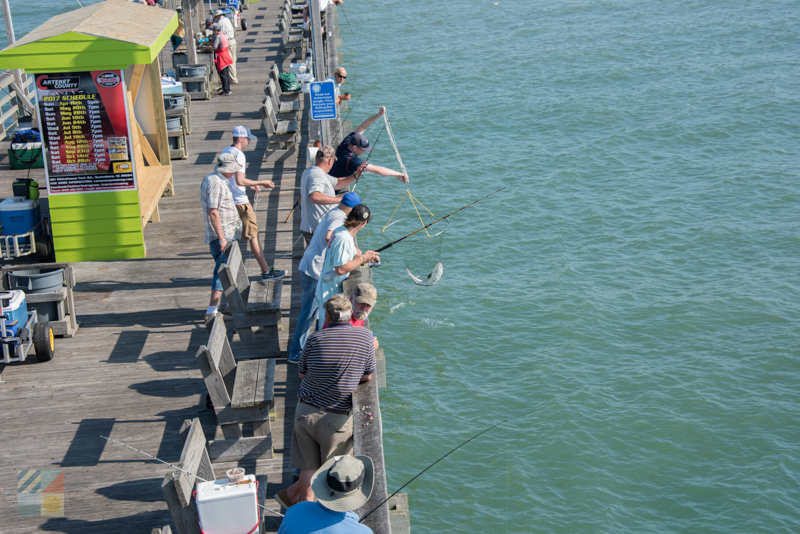 The Crystal Coast is also home to two extensive oceanside fishing piers, as well as several public docks, parks, public beaches, and other popular destinations where it’s easy to step outside with a fishing pole and immediately start casting for a great catch or two. Cape Lookout National Seashore is secretly known as one of the best shelling destinations on the East Coast, and as a result, the miles of barrier island shoreline is a magnet for dedicated beachcombers from all across the country. 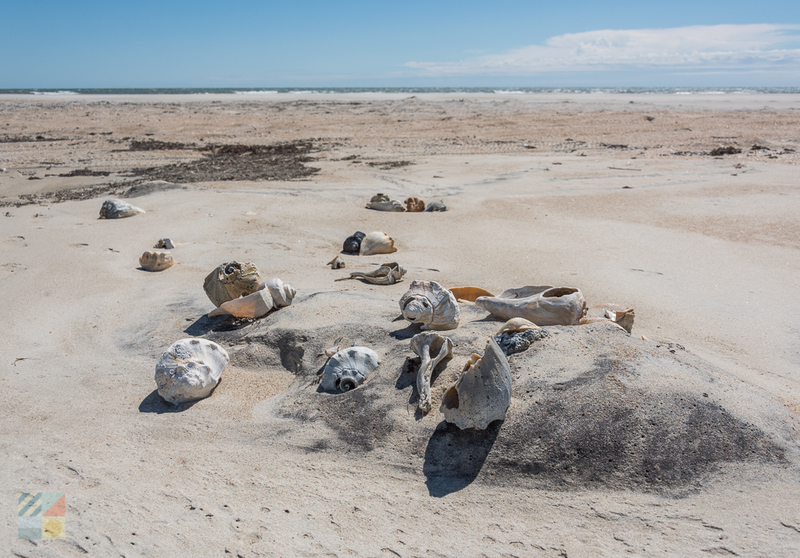 Take a ferry to the Shackleford Banks, the North Core Banks, or the South Core Banks, and discover miles of undeveloped beaches where incredible shells seem to wash up with every tide. 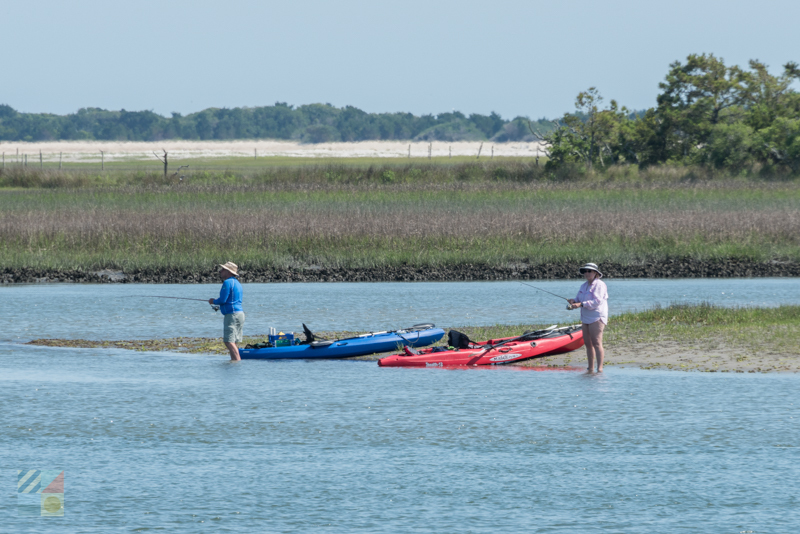 For the best chances of finding something incredible, plan a trip to the tip of Cape Lookout, (which can be accessed via a Beaufort or Harkers Island ferry), and get ready to dig through piles of whelks, sand dollars, olive shells, conchs, colorful scallops, Scotch Bonnets, and many more treasures. 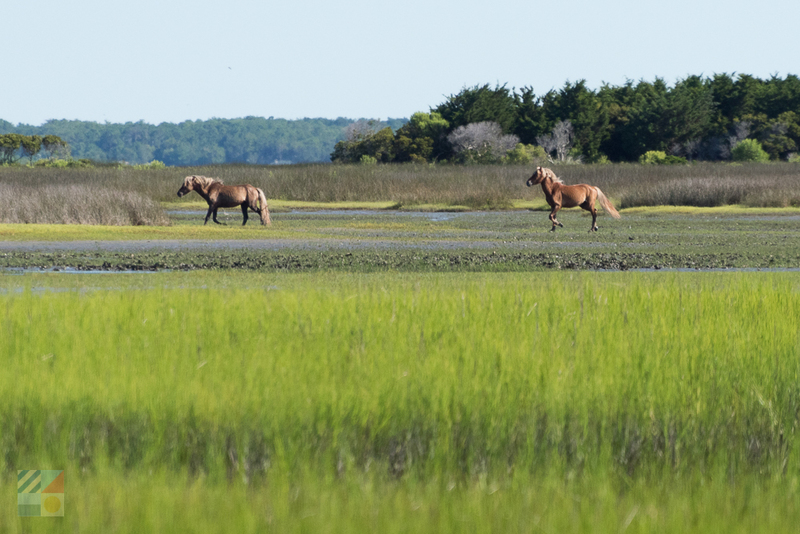 The Crystal Coast is unique in that the area is home to several herds of wild or feral horses that are scattered across multiple deserted barrier islands. Visitors who’d rather just relax and watch the wild action can take a stroll along Downtown Beaufort to admire the feral ponies of the Rachel Carson Coastal Estuarine Reserve, (located just across Taylor’s Creek), while explorers who’d like a closer view can take a ferry or water taxi to the Shackleford Banks or the Core Banks to see the horses grazing in an island landscape. Because of the horses’ popularity, a number of on-the-water tour companies are available as well, to ensure that visitors catch some of the best glimpses (and best photos) of these famed residents. 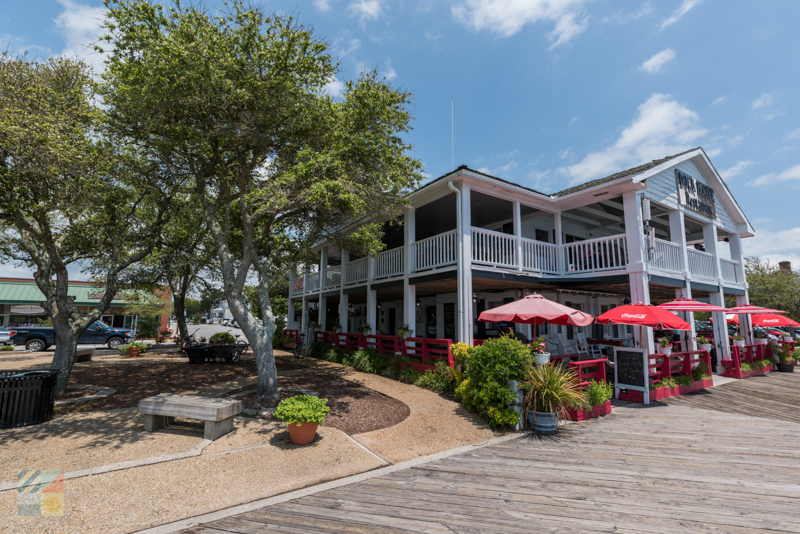 Seafood is certainly king on the local dinner menus and specials boards of the Crystal Coast, as this area’s proximity to miles and miles of water makes it easy to dive into a wide array of coastal delicacies. Whether you head to one of the famed seafood restaurants in Morehead City, Beaufort, Atlantic Beach or Emerald Isle, or simply stop by a local seafood market to pick up a few filets to grill at home, the sheer abundance of seafood makes it almost mandatory to enjoy a coastal feast or two during any vacation. Look for local and seasonal catches whenever possible to enjoy the best-tasting and freshest fare available. Die-hard seafood fans will also want to plan a trip that coincides with the North Carolina Seafood Festival, which takes place in Morehead City, (typically in late September / early October), and which is one of the state’s largest celebrations of coastal cuisine. The Crystal Coast is home to several unique communities that are perfect for exploring on foot. Downtown Beaufort is one of the oldest communities in the state, and is a collection of chic restaurants, marinas, shops, and art galleries which are all bordered by a pretty waterfront boardwalk that follows the edge of Front Street. 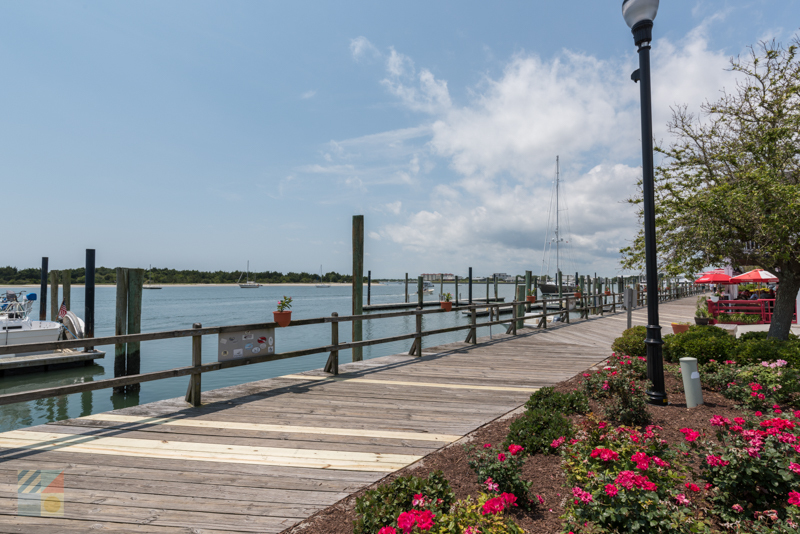 Downtown Morehead City has a similar landscape, with a number of cool restaurants and pubs, shops, and charter businesses that are congregated next to the Morehead City docks. Both destinations are stunning and engaging both night and day, and offer multiple benches, small parks, and other sitting areas where shoppers, diners, or everyday explorers can take a breather and enjoy an incredible open water view. 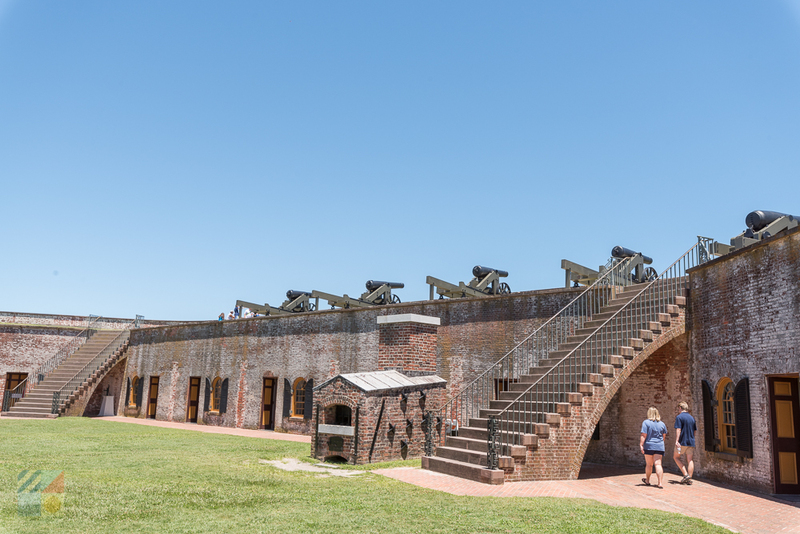 The Crystal Coast is steeped in history, thanks to a long legacy that goes back centuries and which incorporates a number of major American events, including the early roots of North Carolina, The Civil War, and even the Golden Age of Piracy. As a result, the area is home to a wealth of museums that put this maritime culture into focus, and which outlines the unique chapters of this coastal region’s long and fascinating story. Check out the North Carolina Maritime Museum at Beaufort, the Historic Beaufort Site, The History Place in Morehead City, and the Core Sound Waterfowl Museum on Harkers Island for an in-depth exploration, or embark on a walking or water tour of the Beaufort area to learn more. From ancient cemeteries and ghost stories to Blackbeard’s favorite ship, there’s a lot to uncover in this surprisingly history-rich destination. Considering that there are miles of water that border the Crystal Coast, it should come as no surprise that the region is a Mecca for watersports lovers of all ages. As such, a vacation to the area serves as a perfect excuse to try something new, or indulge in your favorite ways to enjoy the wind or waves. Surfing, stand-up paddle boarding, kayaking, windsurfing, kiteboarding, skim boarding, and jet skiing are all popular on the Crystal Coast, and all easily accessible to visitors of all skill levels. Stop by a local beach equipment store for gear or rentals, or sign up for a tour, class, or camp to take your skills and explorations to the next level. With dozens of different vendors to choose from, embarking on a new waterfront adventure is a very easy task. 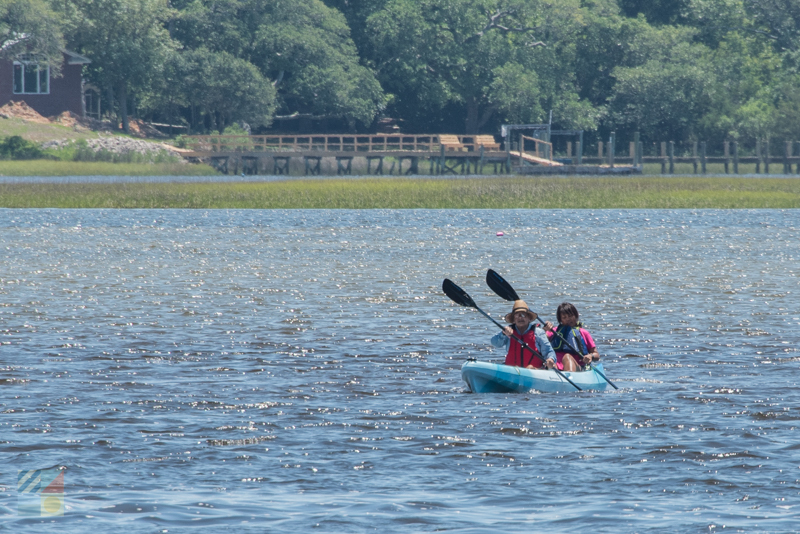 The Crystal Coast is an ideal destination to go exploring – both in and out of the water – and avid hikers will find plenty of ways to explore the unique natural scene. 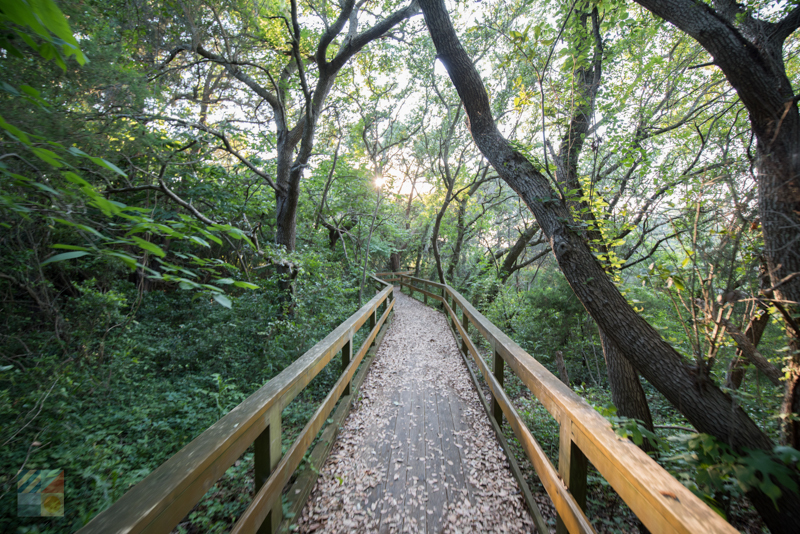 For a quick exploration, head to the Hoop Pole Creek Nature Trail, which is located in the heart of Atlantic Beach, and enjoy a short ½ mile trek to the edge of the sound and back. Two longer nature trails, (extending a little more than a mile), can also be found behind the North Carolina Aquarium at Pine Knoll Shores at the Theodore Roosevelt State Natural Area, while the Cedar Island National Wildlife Refuge – which comprises of more than 15,000 acres of terrain – has a network of rustic trails for die-hard and advanced hikers. For the easiest way to enjoy the hiking scene, simply head over to the beach. The shorelines along the Crystal Coast are nicely wide with ample room for strolling, shelling, and just enjoying the salt air. The Crystal Coast is the perfect destination for young and young-at-heart visitors. From building sandcastles to feasting on fudge and ice cream, there’s no better place to rediscover your inner kid. Plan an afternoon trip to the North Carolina Aquarium at Pine Knoll Shores, grab a surfboard or kayak to embark on a new adventure, or book one of the infinitely fun themed cruises or tours – like the Pirate’s Cruise or the Wild Horse Tour – to get your heart pumping. 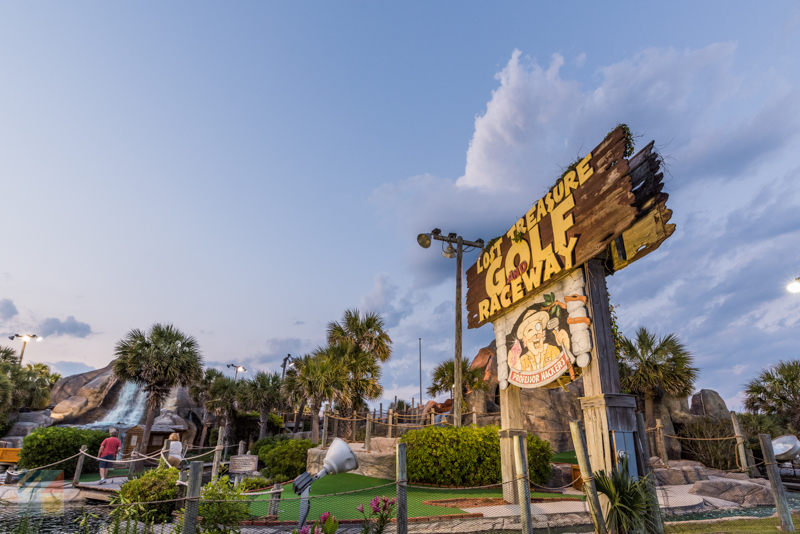 From firing cannons at enemy vessels in the heart of waterfront Beaufort, to perusing cool general stores that are lined with candy and toys, the Crystal Coast is where the young and the young at heart can truly indulge and create lifelong memories. On land and on shore, there are surely endless ways to have fun while exploring the entirety of the Crystal Coast. Pick out a few activities that suit your interests – whether they learn towards the educational, the active, or the all-together fun – and explore the islands on your time, and in your style. From feasting on local seafood to cruising to undeveloped beaches, the world is truly your oyster at this remarkable North Carolina destination.